On the “Medal Collectors’ Cooperative” blog on this site, Jeff Floyd recently gave us the story of Major General Sir Henry Thornton, an American who served with the British Army during World War I and received the Distinguished Service Medal from the United States Army. Jeff indicates that as far as he can determine Thornton “was the only American serving in foreign uniform to receive one.” While Thornton may well be unique in that respect, the award of the U. S. Army Distinguished Service Medal to officers of the British Army, American or British, were not at all common. One British Army officer who received this medal was Brigadier General Clive Gordon Pritchard, late of the Royal Garrison Artillery (Figure 1). Figure 1: Brigadier General Pritchard shortly after World War I.
Pritchard was born on 10 August 1871 at Mussoorie, India, the son of Lieutenant General Sir Gordon Douglas Pritchard, K.C.B., Colonel Commandant, Royal Engineer, and Agnes Marie Pritchard, daughter of W. H. Cox, J. P. He was educated at Temple Grove, East Sheen, and at Malvern College from 1886 to 1889 where he was a Lygon Scholar and played on his House Cricket and Football teams. He was appointed Gentleman Cadet at the Royal Military Academy, Woolwich where he graduated fifth in his class and was commissioned 2nd Lieutenant, Royal Garrison Artillery on 23 November 1891. From 1891 to 1898 he was posted to 4th Company, Southern Division, R. G. A at Golden Hill, Isle of Wight and at Weymouth. On 23 November 1894 he was promoted Lieutenant, R. G. A. and from December 1898 to July 1900 served with No. 5, Mountain Battery, R. G. A. at Kalabagh, India. On 4 December 1899 he was promoted Captain, R. G. A. He served in Hong Kong from July 1900 to October 1901 as a Captain in No. 25 Company, R. G. A. and with the same company in Singapore from October 1901 to April 1902. Pritchard was Officer Commanding, Hong Kong Volunteers, with the local rank of Major, from 2 April 1902 to 31 March 1907. Pritchard was called home in March 1915 and trained No. 16 Heavy Battery, R. G. A., taking it to France on 10 July 1915. From 5 May 1916 to 31 August 1916 he was Officer Commanding, 23rd Brigade, R. G. A. during the battle of the Somme. From 8 May 1916 to 30 April 1917 he was appointed Temporary Lieutenant Colonel and was promoted to the substantive rank of Lieutenant Colonel, R. G. A. on 1 May 1917. In the London Gazette of 1 January 1917 he was appointed a Companion of the Distinguished Service Order (Figures 2 and 3). Figure 2: General Pritchard’s medal group. 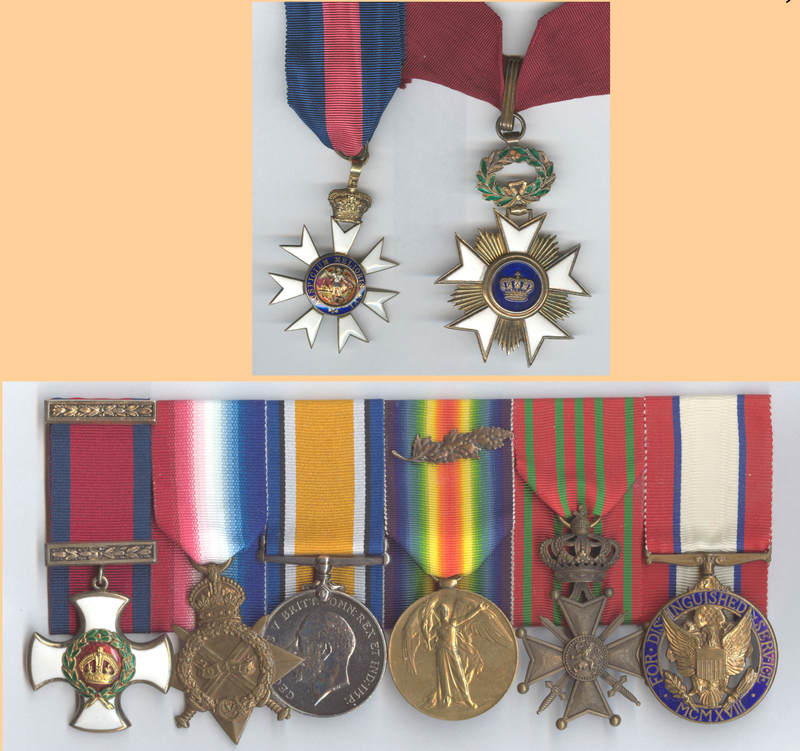 Figure 3: The miniature medal group of General Pritchard. “He lost no time in joining the then newly-formed local branch of the British Legion. So actively did he identify himself with the aims and objects of the organization in its work for ex-service men, winning the immediate esteem of his fellow members, that when Captain F. Bond, M. C., relinquished the Presidency of the Branch he was elected his successor, a position he had held ever since, with the exception of a few years during the recent war. Brigadier General Pritchard was also President of the Little Common British Legion Club, later being succeeded by Brigadier Broad. The annual Poppy Day collection, however, was his first love and each year, in spite of his advancing age, he planned months ahead to increase the proceeds for the Earl Haig’s Fund. As organizer of the Little Common and Cooden collections, he spared no pains to make each year’s financial result a new record. Some indication of how he succeeded, with the help of many willing collectors and generous-minded residents, is given by the fact that recent district collections were more than treble those of 1925 and thereabouts. Creagh, Sir O’M. The Distinguished Service Order, 1886-1923. London: J. B. Hayward & Sons (Reprint), 1978. Farndale, General Sir M. History of Royal Regiment of Artillery: Western Front, 1914-1918. Woolwich: The Royal Artillery Institution, 1986. Rollo, D. The Guns and Gunners of Hong-Kong. Hong Kong: Gunners’ Roll of Hong Kong, 1991. The Malvern College Register, 1865-1924. London: The Old Malvernian Society, 1925. The Malvern College Register, Second Supplement. Malvern: The Malvernian Society, 1949. Various Monthly and Quarterly Army Lists. Who’s Who in Sussex. Worcester: Ebenezer Baylis & Sons Ltd., 1935.
Who Was Who, 1941-1950, 5th Edition. London: A& C Black Publishers, 1918.